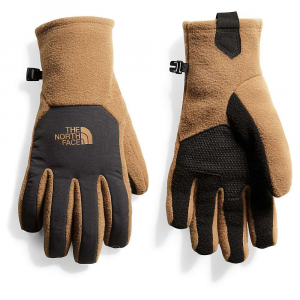 Now with touchscreen-friendly fingers, the Longhouse Sensor glove features a thick pile backing for warmth; ideal for casual, low-key adventures in brisk weather. 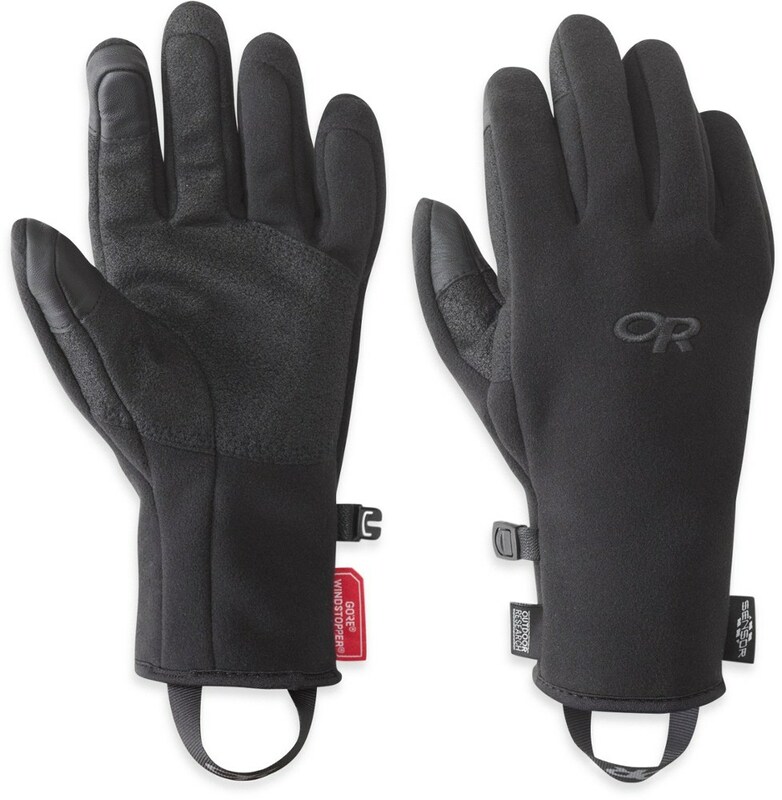 Outdoor Research Men's Accessories Longhouse Sensor Gloves - Men's-Black-Small 2448910001006. 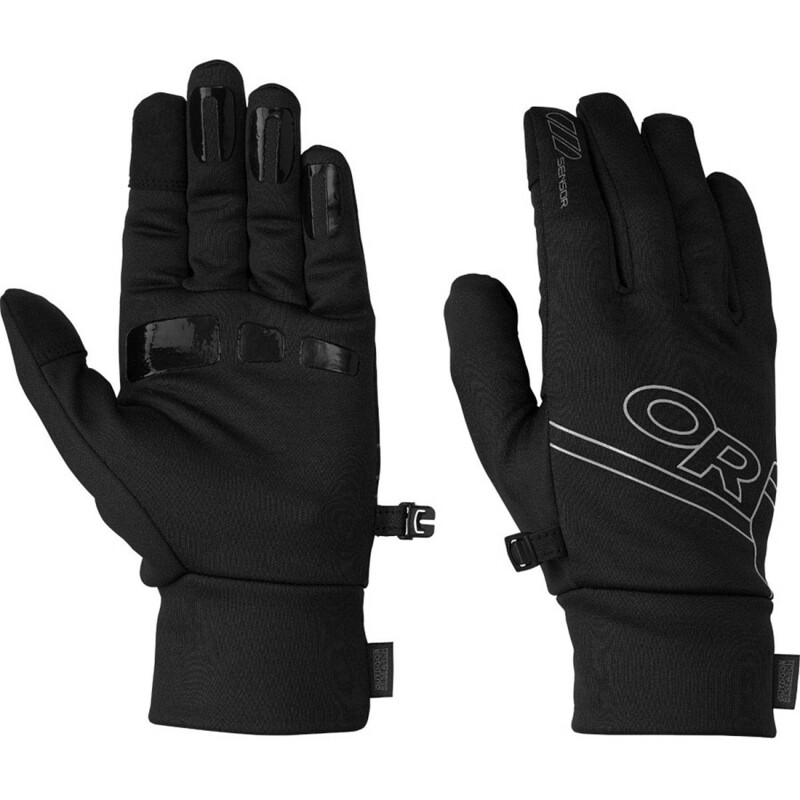 The Longhouse Sensor Gloves are ideal for casual low-key adventures in brisk weather. 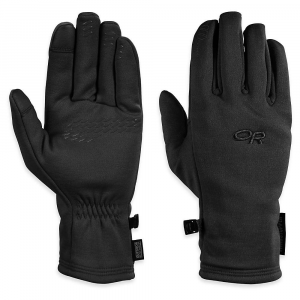 The Men's Longhouse Gloves from Outdoor Research are your lightweight answer to cold hands on chilly winter mornings. 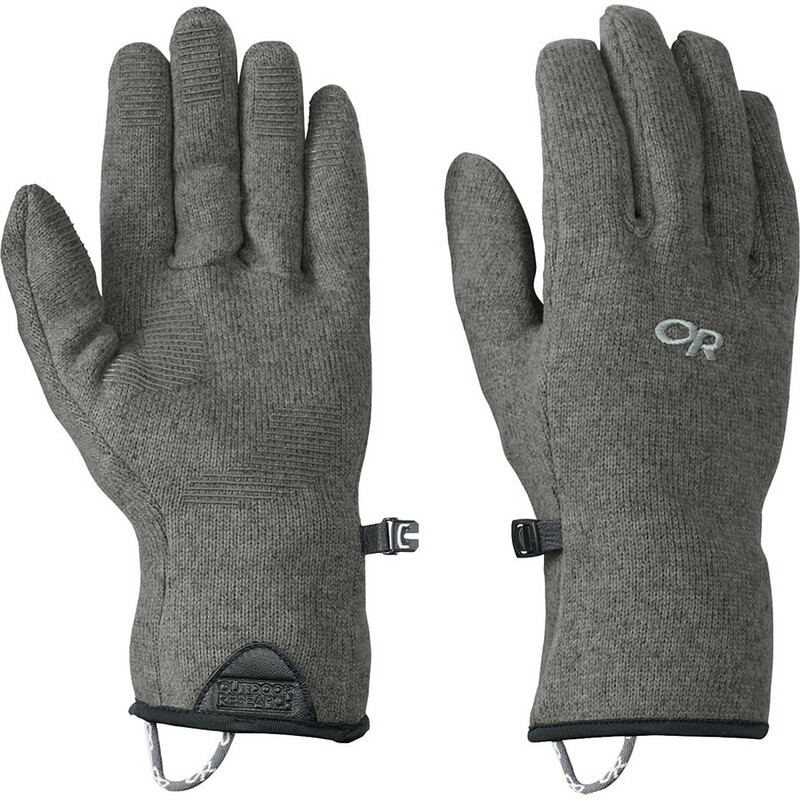 These fleece gloves are perfect for shoveling snow or taking the dog for a walk on a brisk, chilly morning. 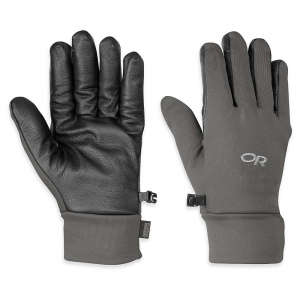 Silicone grip pads on the palm and finger tips ensure that you've got the strength and grip to thrive in whatever winter adventure you can dream up. 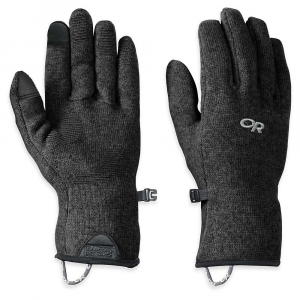 Not to mention, the Longhouse are also touchscreen compatible on the thumb and index finger tip so you're able to access your smart phone with ease.